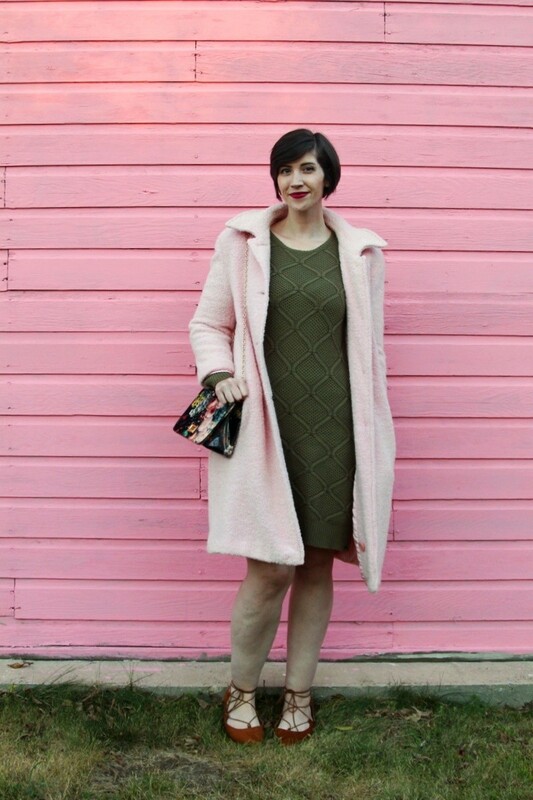 It’s that time of year when style bloggers and fashion outlets to try to find a new way to spin outerwear as awesome I’ve personally covered adding flair to your jacket, buying one with an eye-catching pattern, and the importance of owning a classic vintage coat. Where can I go from here? How about this beautiful pink jacket that I thrifted earlier this summer? Let’s talk about it and how it’s changing outerwear & fall fashion for me. You probably gravitate towards wearing darker colors in the fall as they reflect the ending of daylight so soon, spooky vibes from Halloween, or it could just be your yearlong aesthetic. 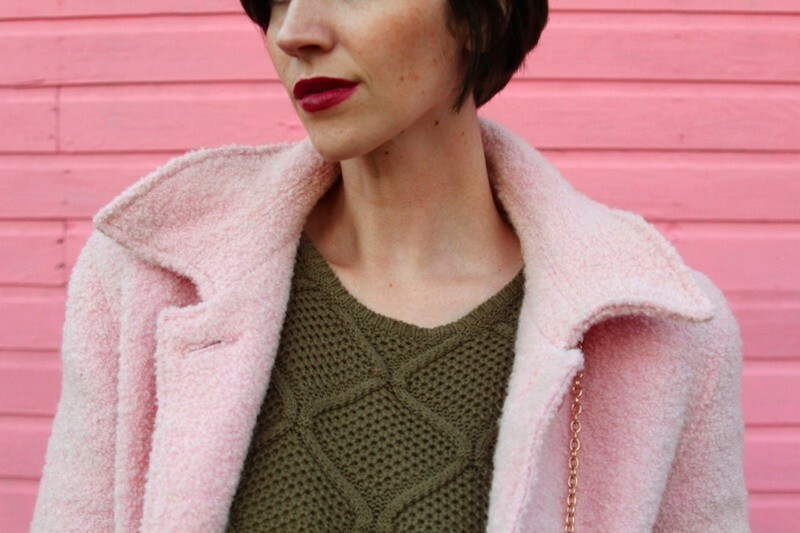 But I think it’s worth giving pink another chance because it’s seen in the beautiful sunsets, looks great with moody colors (like my olive green sweater dress! ), and it’s just time we rewrite old fashion trends! For starters, this jacket! I thrifted it earlier this summer and have been counting down the days until it was cool enough to wear. When you have cute coats, it makes this whole cold weather thing just a little more bearable. 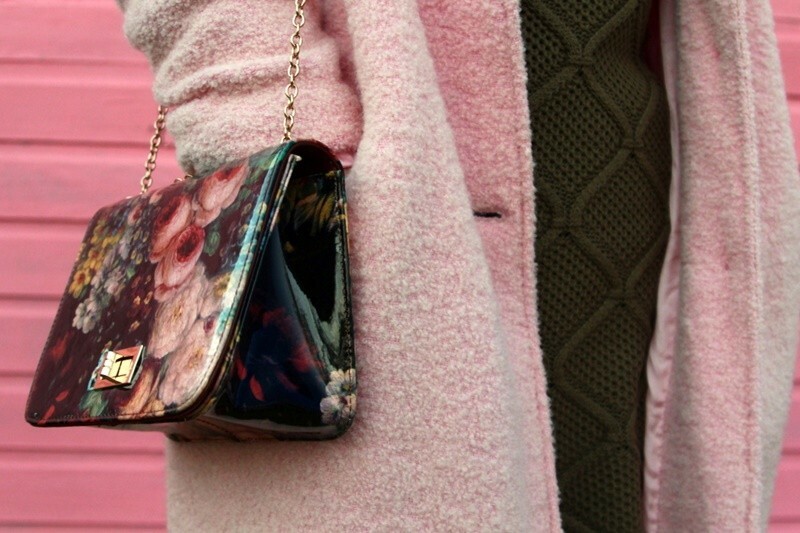 Other ideas for incorporating pink are through your accessories like my floral bag or a swipe of pink lipstick! 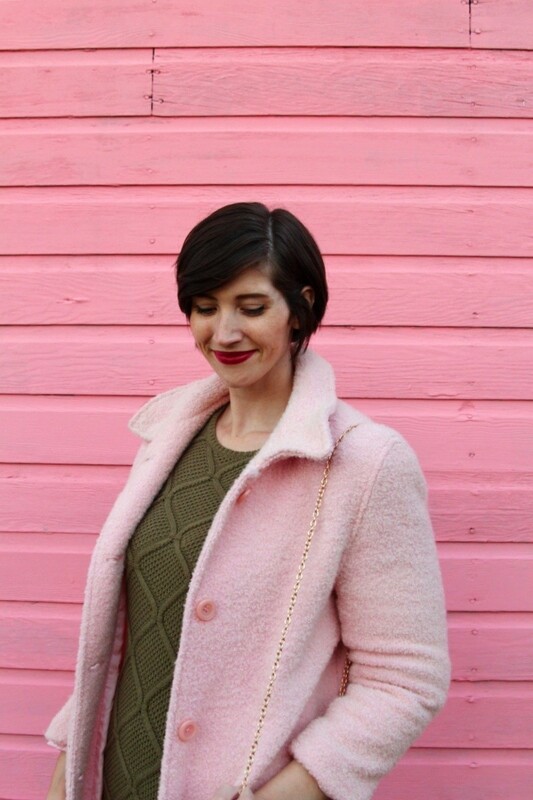 Be sure to keep your eyes on my blog or Youtube channel because I actually have a very interesting update about this pink coat that I’ll be talking about in my October thrift haul video next week. Stay tuned! If you like what you see, please Pin this outfit for future inspiration or send this post to a friend. Mean Girls aren’t the only ones wearing pink anymore!